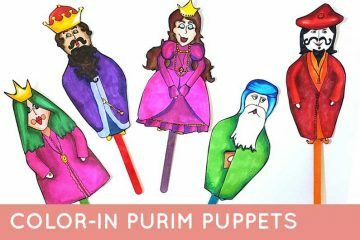 With the arrival of Chanukah, one of my favorite holidays, comes many safety concerns. 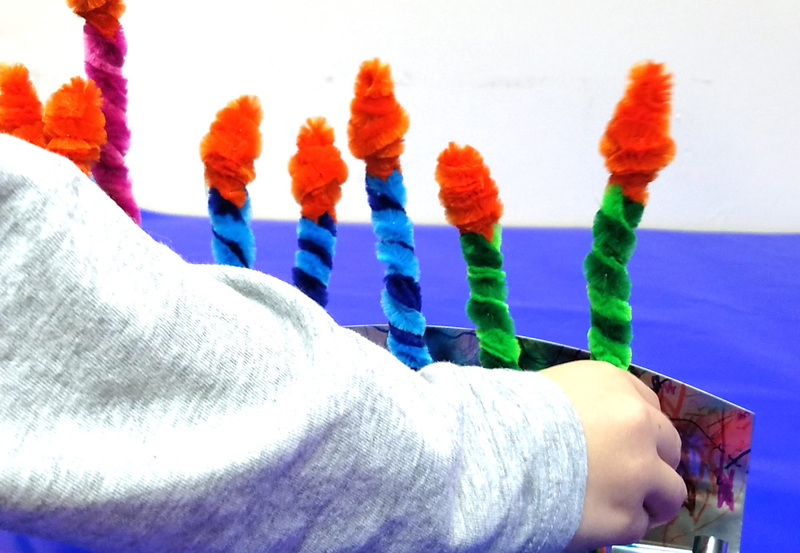 I made these Chanukah candles for kids last year for M (then three years old) to be able to use to light the Menorah he made at his playgroup. Disclosure: this post contains affiliate links. 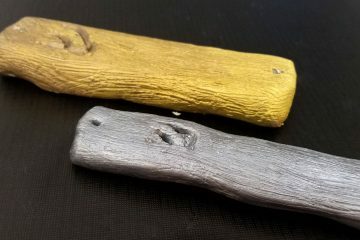 When I was creating my clay candle holders a while ago, I came across a question that I needed answered: is it safe to light? 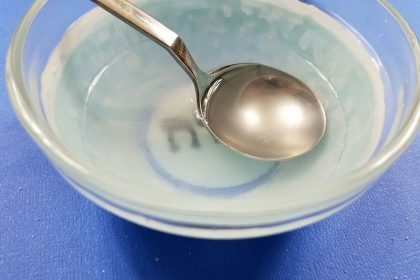 While doing my research, I discovered this experiment from Bible Belt Balabusta, where she tests different clays in the oven. 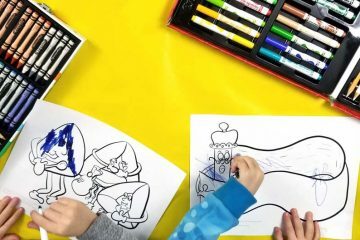 The bottom line: whether it’s made of wood or clay, or possibly something else, the menorah that your child made by Morah may not be safe to light. 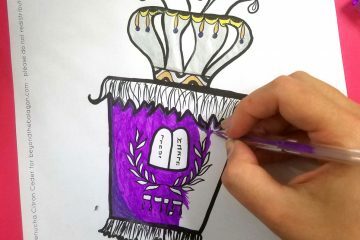 Then comes the next question: at what age can a child be trusted to light? There’s one thing that I knew for sure: I didn’t want M lighting with fire at age two, three, and probably not at age four either, even with close supervision. 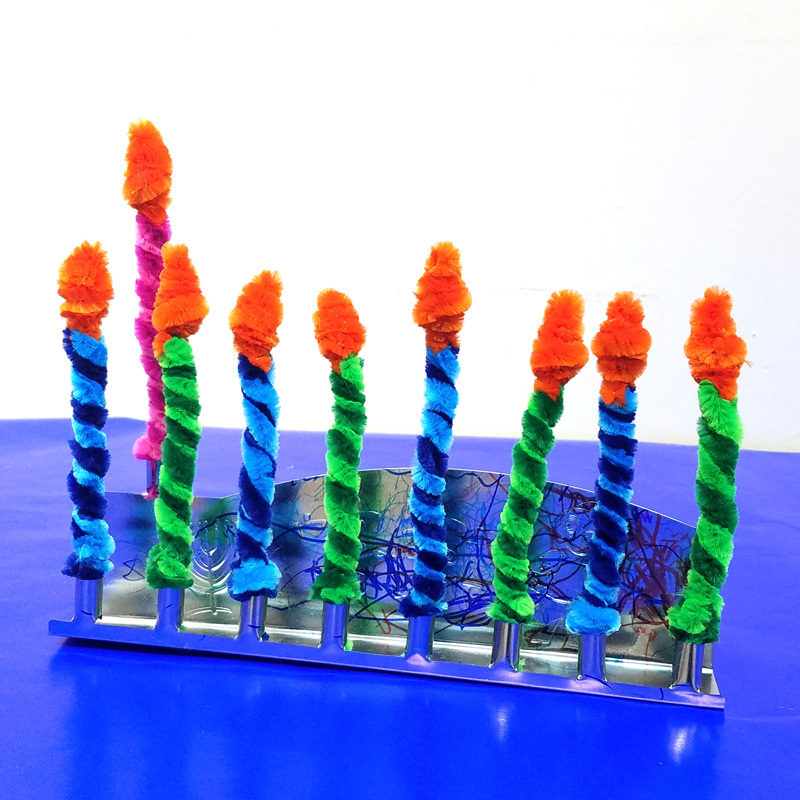 When he was two and not yet in school, I made him this cool clothespin menorah to light. But when he came home with a menorah that he made at school last year, I knew I had to let him light it. 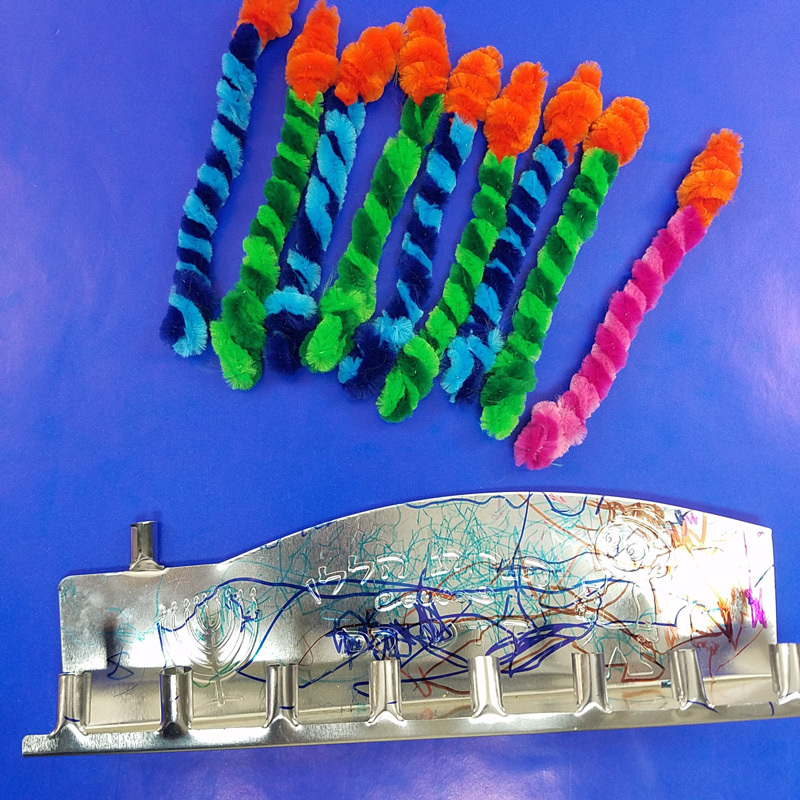 His menorah that he made was actually very clever – they colored a plain tin menorah with Sharpies, making it totally kid-made and preschool-friendly. And safe to light, of course, except that I didn’t want my three year old lighting. 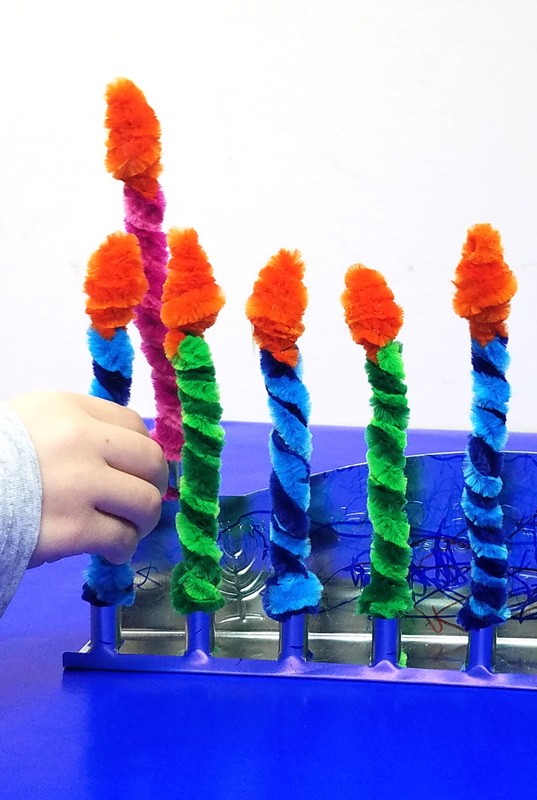 So I made him his own “candles” from pipe cleaners, that fit right into the candle slots on the menorah that he was so proud of. I didn’t make them all at once, I just made a new one each night. And then I got the flu and couldn’t move, let alone craft, so I never finished. This year, I decided to make him a whole set of Chanukah candles for kids well before the holiday, and we even “practiced” lighting! 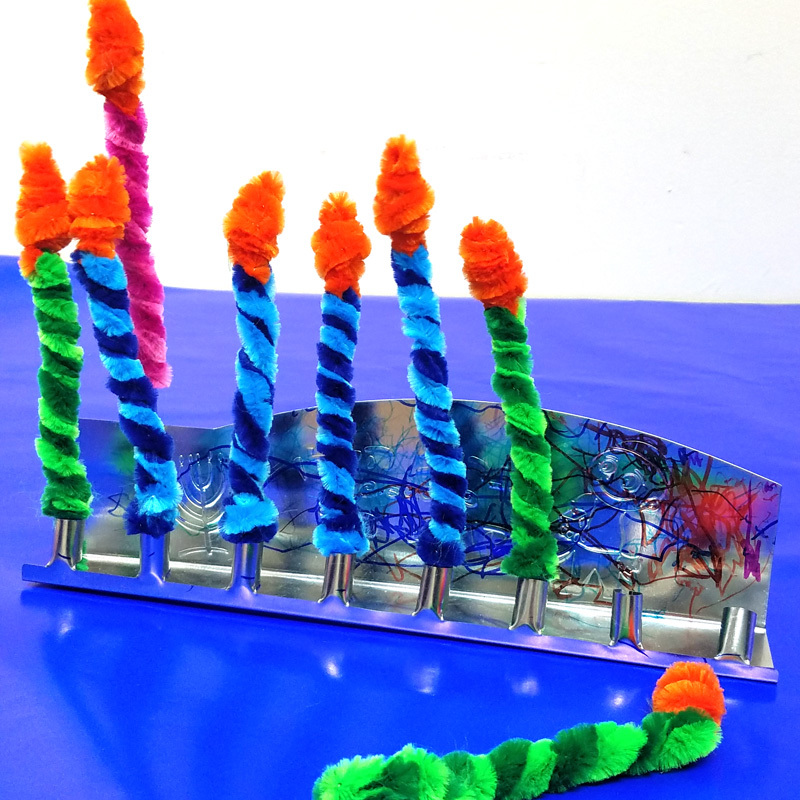 These Chanukah candles for kids were made from jumbo, extra thick chenille stems/pipe cleaners twisted together. You don’t need to use the massive ones I used (they look super cool and are extra fuzzy, but also cost more). 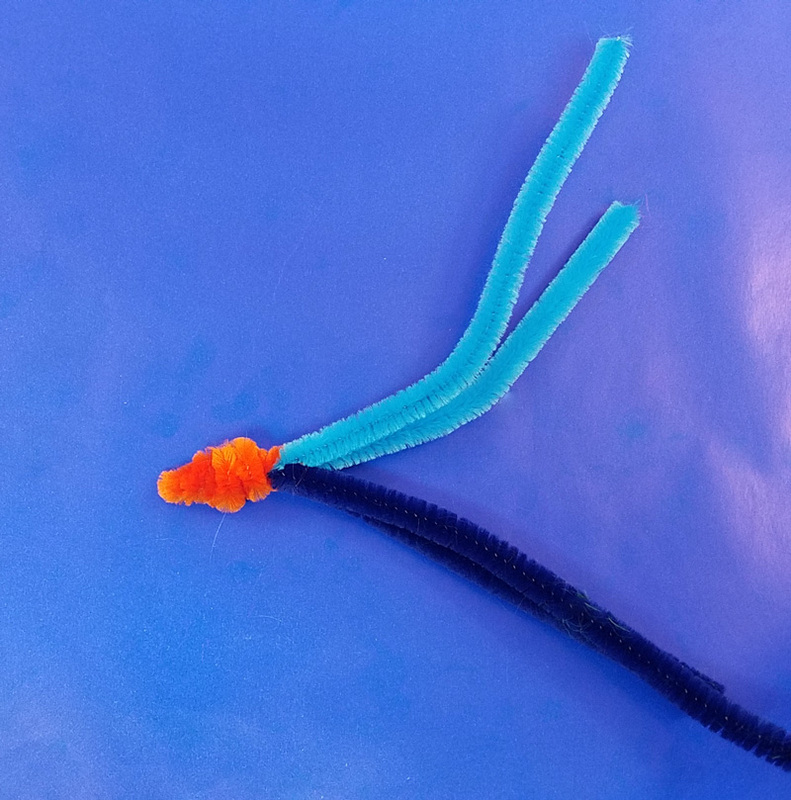 Last year, I made them from regular pipe cleaners and it worked just fine! 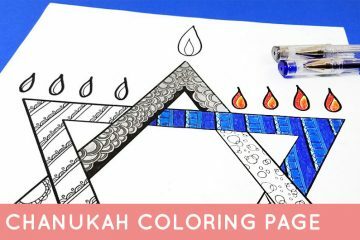 Each Chanukah candle took me about a minute to make, so even if you’re short on time, you can do it! Safety notes: Obviously, these are highly flammable, and so they shouldn’t be placed near actual lit candles. 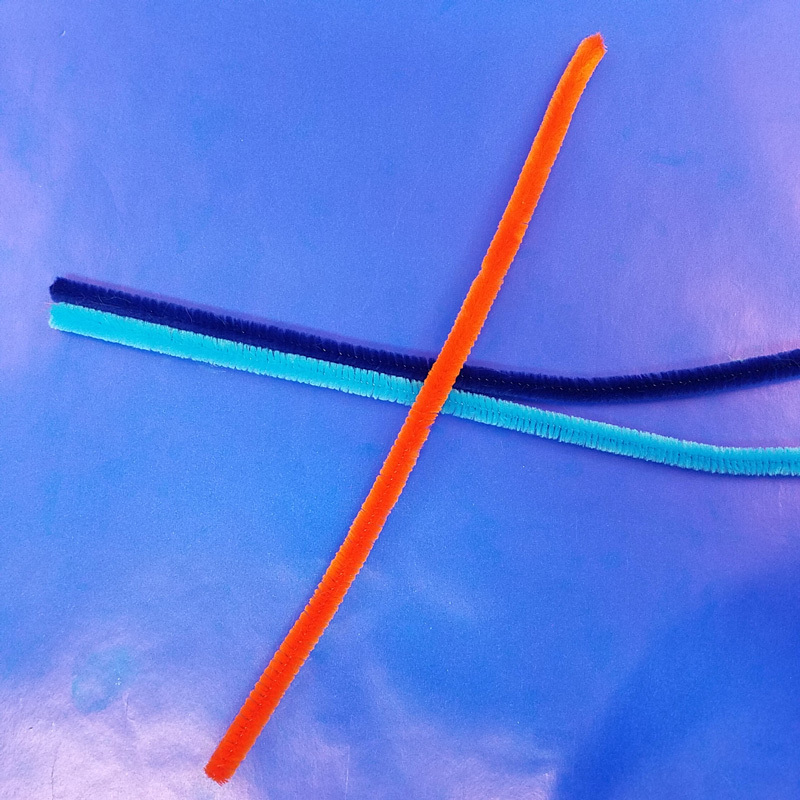 These are not intended to be a toy – your tot is likely to untwist them,and they have sharp ends. It’s for supervised use only. 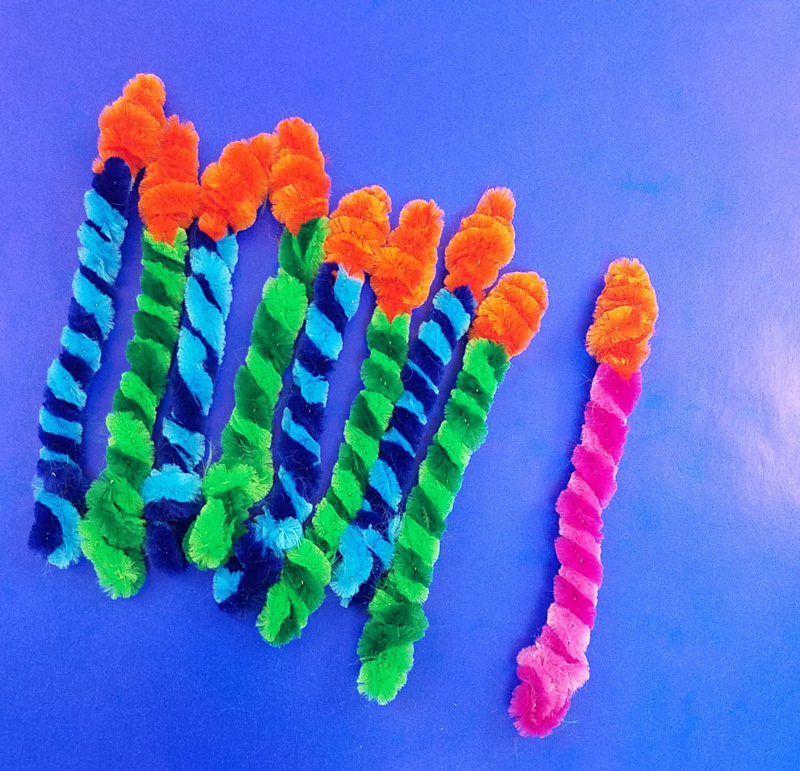 One orange pipe cleaner (chenille stem) for each candle (for a total of nine). 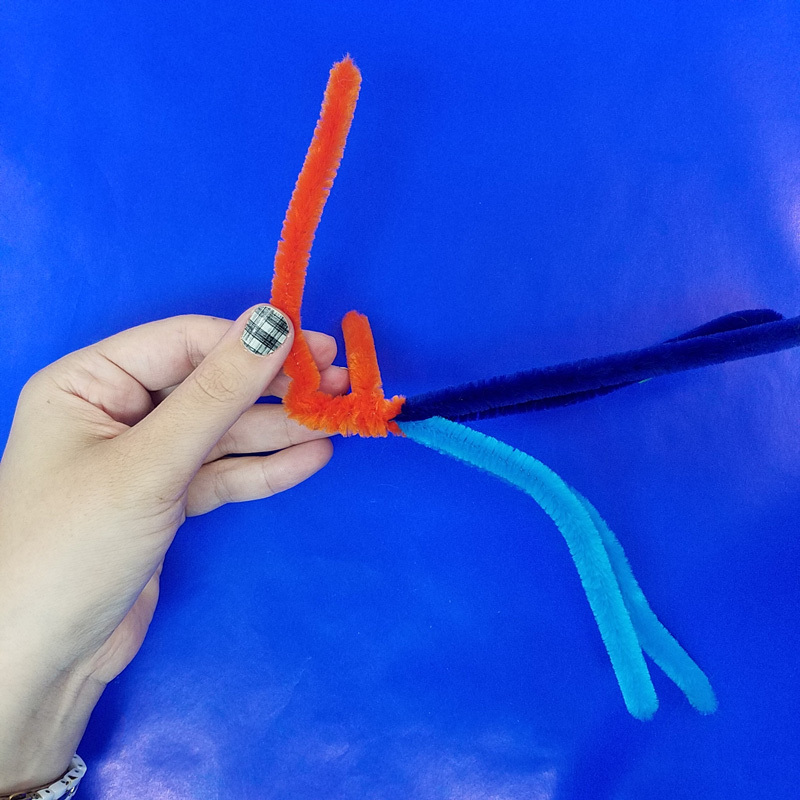 Two coordinating color pipe cleaners for each candle (for a total of eighteen). 1. 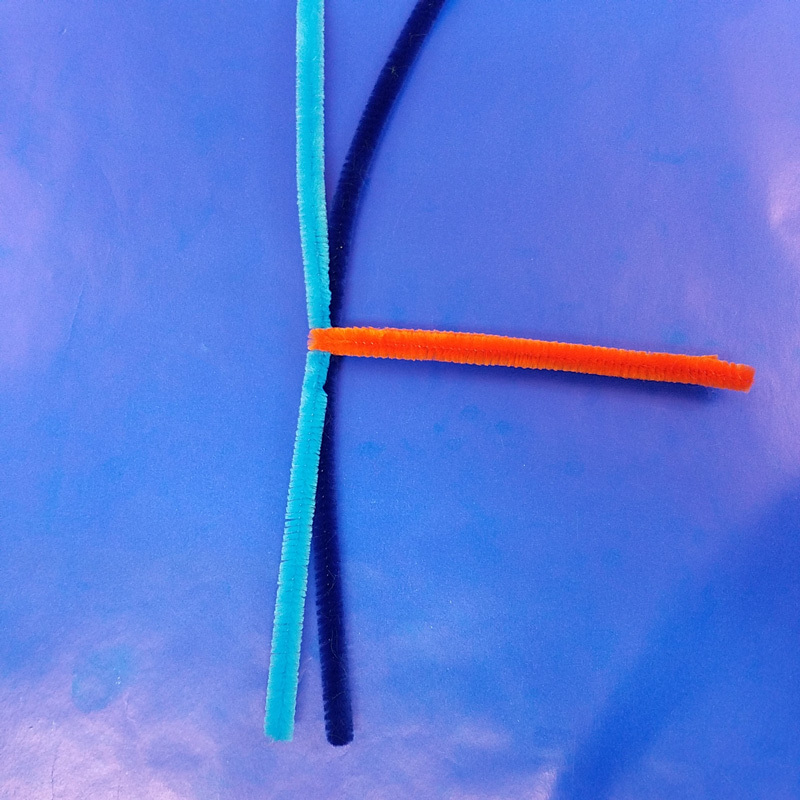 Lay your two candle colors down on your surface and place your orange pipe cleaner perpendicular on top. 2. 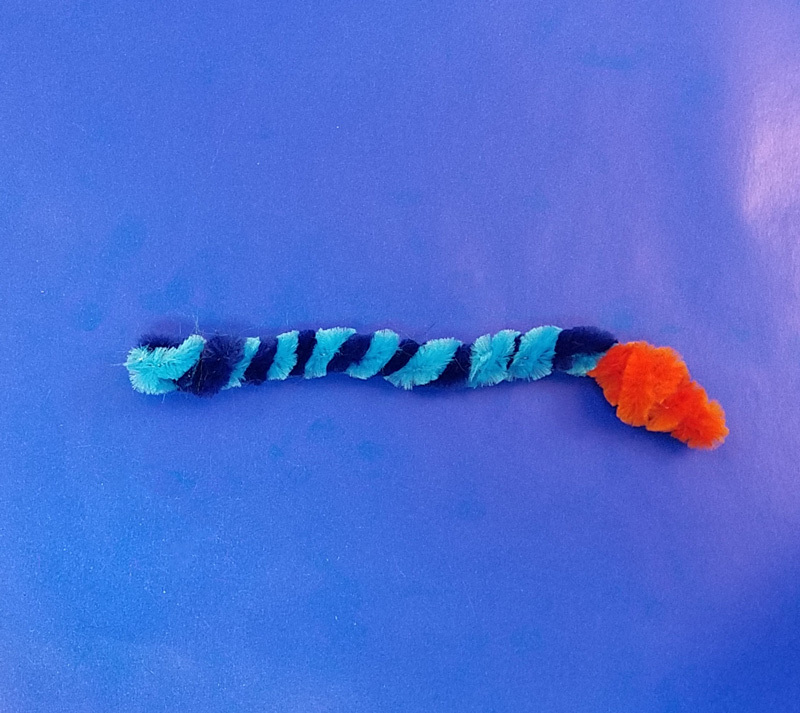 Fold your orange pipe cleaner in half so that it’s centered over the candle colors. 3.Fold your candle colors in half. 4. 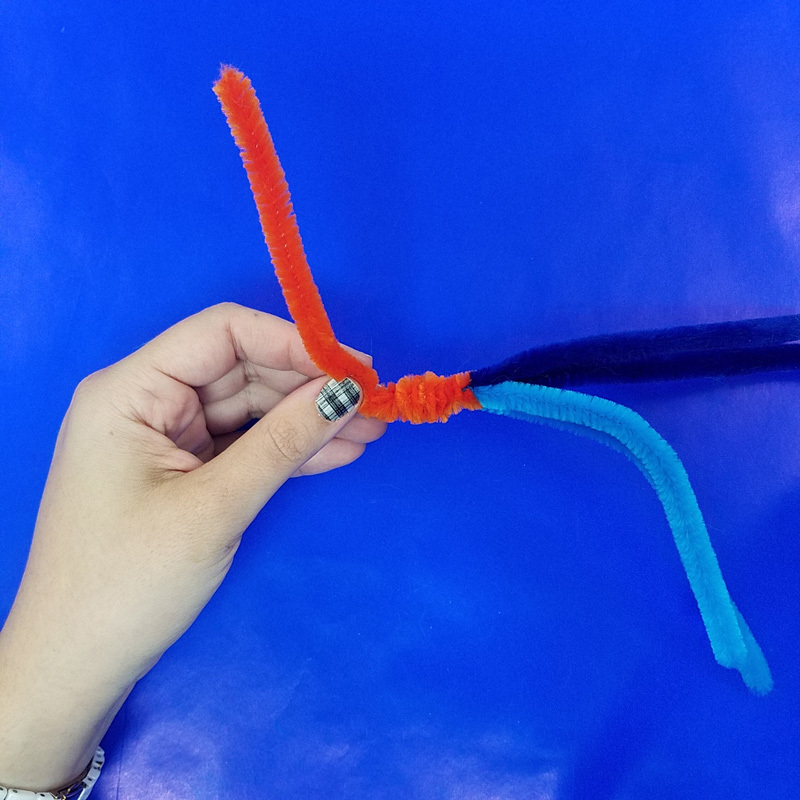 Twist the two sides of the orange pipe cleaner together about 3/4 of an inch, or to your desired height. 5. 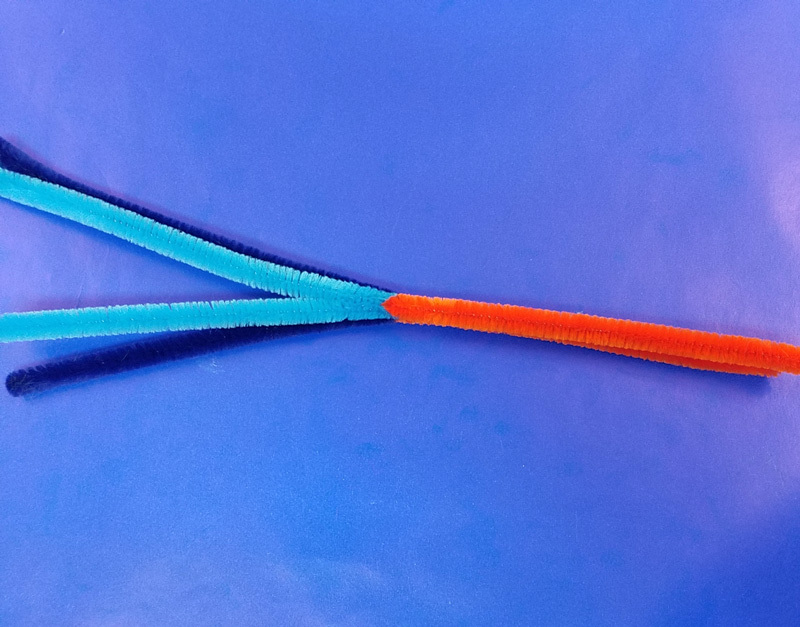 Fold the two ends down. Start twisting one of them down again, making sure you DON’T twist it around the other half of the orange pie cleaner. Twist it till you reach the base – there should be a little left over. 6. Twist it upward a little, and secure, making sure the end is hidden. 7. 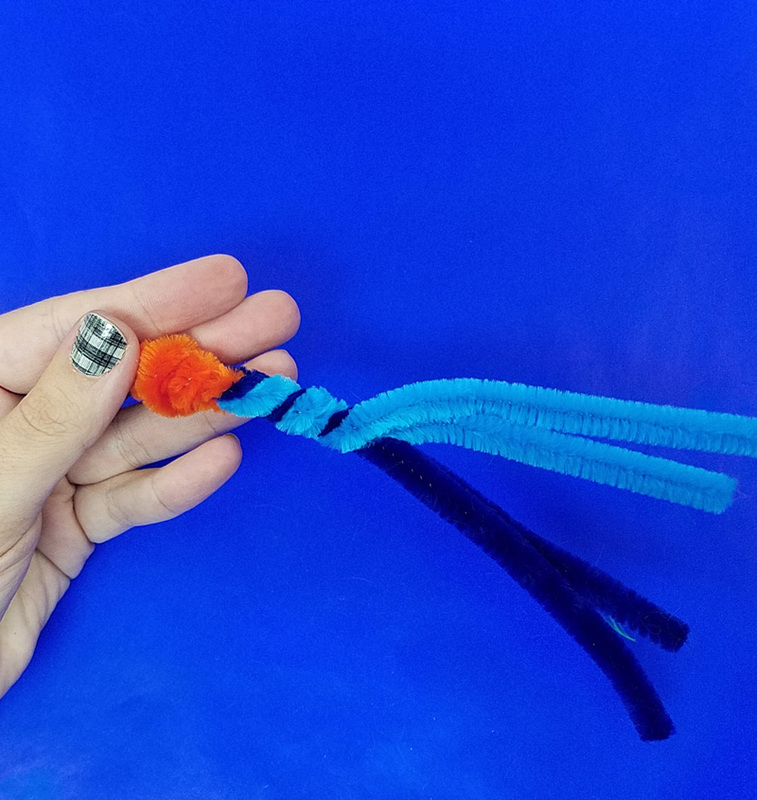 Repeat steps 5-6 with the other half of your orange pipe cleaner. If you don’t get the exact process right, it’ll be fine – twisting it in this way gives you the shape of the flame. It will be great if it’s slightly off too! 8. 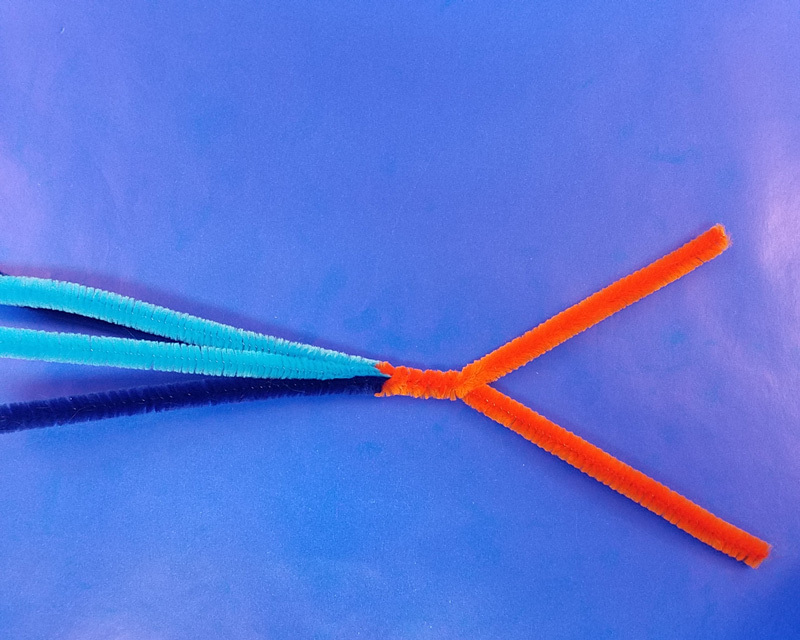 Split your candle pipe cleaners into two – holding the two stems of each color together. Twist them together. 9. 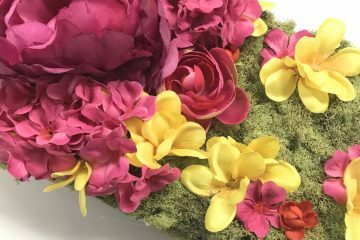 When you reach about 1 inch from the end, fold them up a little, and twist it around the candle, leaving enough space to tuck the candle into the candle holder. Tuck in the ends. 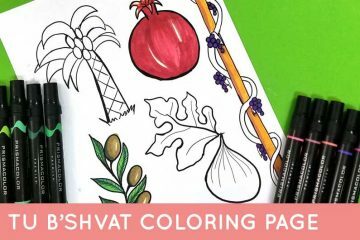 10 Make eight regular candles and a Shamash candle! 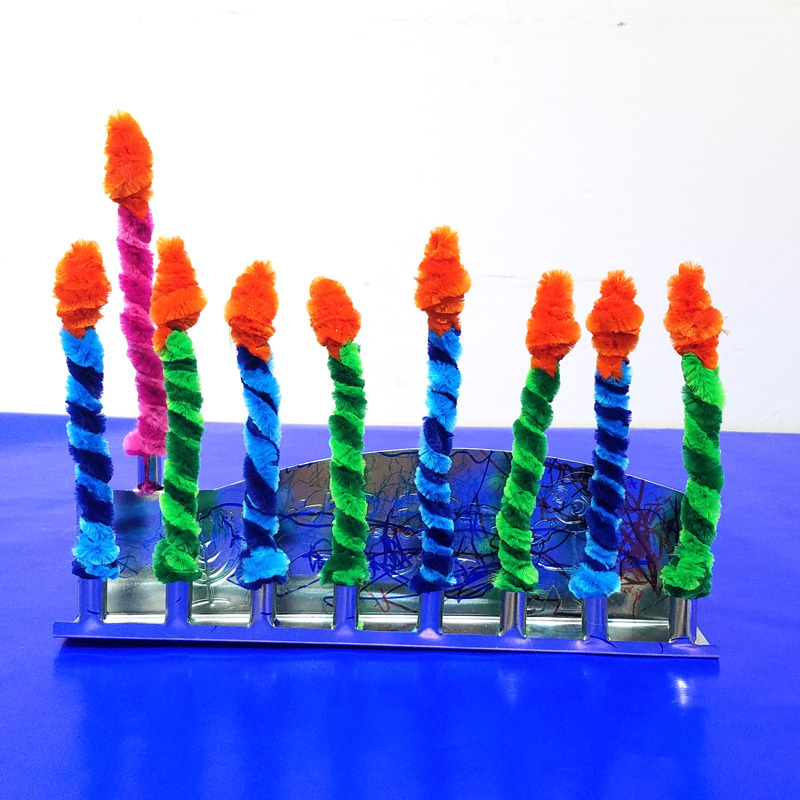 Now your toddler or preschooler can light the menorah he or she made at school safely! 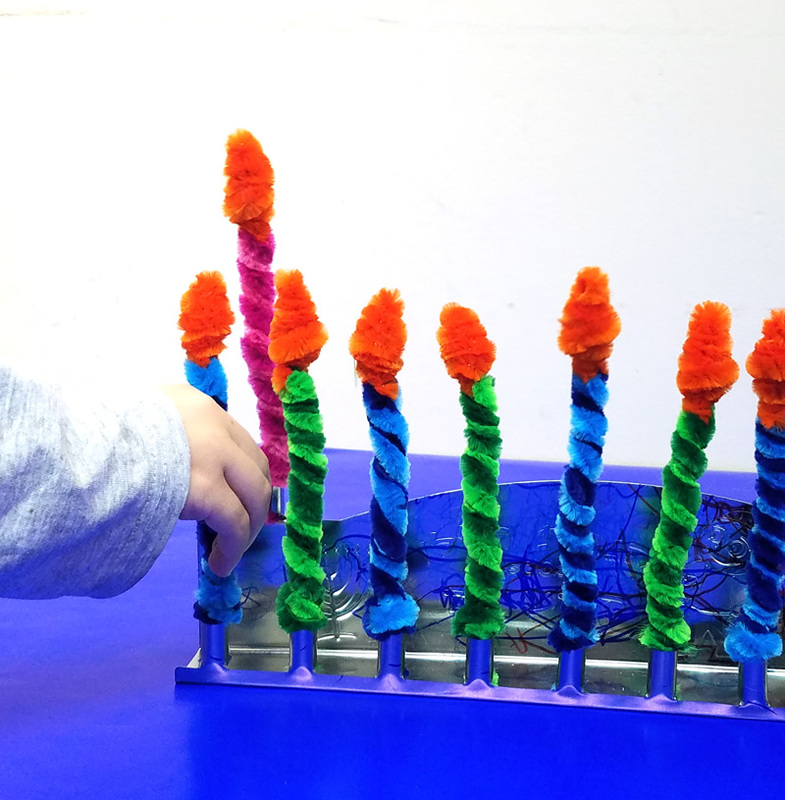 Who will be lighting their menorah with these DIY Chanukah candles for kids? Comment below! 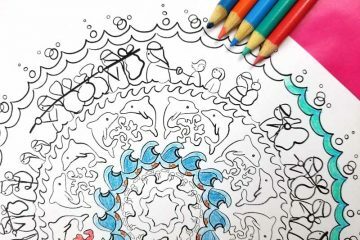 Feel free to share your finished work with us on our Facebook page or by tagging @beyondthebalagan on Instagram! Thank you for posting this! I made the candles for my boys (3 1/2, 2 yrs old) and we’ll see how this goes. I hope they are excited to “light” candles themselves! So awesome! They are the perfect ages for these candles. Let us know how it goes!